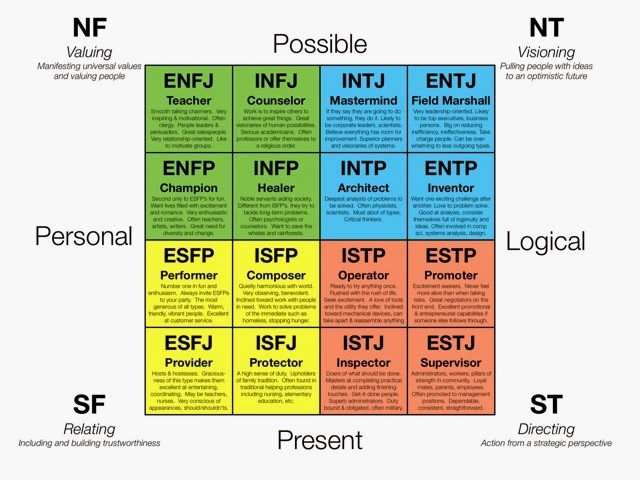 Which personality type makes the best Data Owner? In the follow-up comments to my “I’m Spartacus” article, I responded to a question from “Word Luv” on the characteristics of Data Owner, proposing that a Jungian personality type (a.k.a. Myers-Briggs profile) of “ENTJ” would be a good candidate. It was a bit of a throw-away observation, and in a thread on LinkedIn, poster Shane Pinson said he disagreed with me; he also suggested that I might want to cover my rationale in a follow-up blog…. So Shane, this is for you! I’m certainly not going to give an full treatise on the Myers Briggs Type Indicator schema here. (For one thing, I’m not a trained psychologist, although my wife studied a Psychology degree as a mature student, so I reckon I should get some “proxy” study credits!). ENTJs are strategic, organized and possess natural leadership qualities. They are master coordinators that can effectively give direction to groups. They are able to understand complicated organizational situations and quick to develop intelligent solutions. ENTJs are outspoken and will not hesitate to speak of their plans for improvement. They are decisive and value knowledge, efficiency and competence. ENTJs live in a world of possibilities where they see all sorts challenges to be surmounted, and they want to be the ones responsible for surmounting them. They make quick and decisive judgments. They are curious about new ideas and theories, evaluating them in terms of their goals. They are very efficient, competitive, strategic, and task focused. If we now compare those traits with the role the data owner is expected to play, I think it becomes clear that the ENTJ personality type is going to be a strong advocate and champion; their natural leadership traits, rationality and ability to communicate the big picture will bringing focus, energy and impetus to any data definition and data quality challenges, while cutting through any social inertia. They can be opinionated or stubborn (might believe they're always right). They may set the bar too high (have unrealistic dreams and goals). ENTJs sometimes make decisions too fast. The are typically very critical about incompetency and inefficiency. They don't give compliments easily. ISTJs have a keen sense of right and wrong, especially in their area of interest and/or responsibility. They are noted for devotion to duty. ISTJs are very loyal, faithful, and dependable. They place great importance on honesty and integrity. They believe in thoroughness. A half-finished job is not a job well done. They are "good citizens" who can be depended on to do the right thing. ISTJs get things done on a timely basis. They honour deadlines. They established procedures and schedules, and are uncomfortable with those who do not do the same. As long as ISTJ’s can fulfil their responsibilities, they feel useful and satisfied. What do you think? Have I got it right? 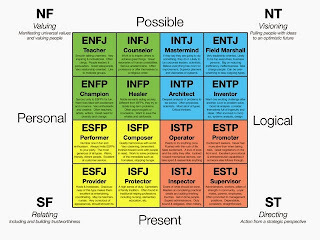 Is the ENTJ what we want in our Data Owners? And does personality really matter in the struggle to bring governance to the world of data?